In the heart of DuPage County, the suburban village of Glen Ellyn is recognized as a place where businesses are booming and opportunities abound. It is a prime area for retail space where new businesses establish themselves as successful companies. Glen Ellyn is home to many Fortune 500 companies, and it’s downtown is chalk full of locally owned shops and boutiques. The village was even recognized by CNN as one of the top 100 places to live in 2011. Many of Glenn Ellyn’s residents have been utilizing Carmody Construction’s home-improvement services since our founding over 50 years ago. After decades of building the Fox Valley’s most trusted construction company, Patrick Carmody took over the business from his father in 1991. Today, a third generation of Carmodys have also joined the family business. 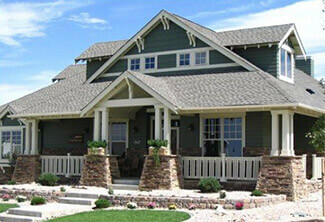 Services include home remodeling, siding, roofing, windows, and gutters. We also offer free consultations for your home or business. Whether you’re a homeowner or a business owner, Carmody Construction will take on any project that they’re given. If you want to know more about our Glen Ellyn home-improvement services, contact us today! Live in Glen Ellyn? Need Windows, Siding, or Roofing Services? Schedule an appointment today!